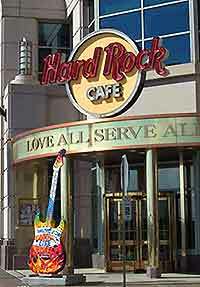 The exciting array of dining choices and restaurants in Cleveland reflects the city's ethnic diversity. 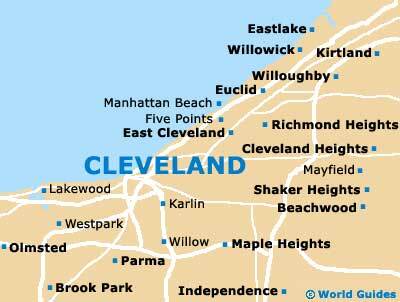 With over 1,000 restaurants to choose from in Greater Cleveland, you'll be spoilt for choice. From Tapas bars, trendy bistros and avant-garde fusion restaurants to microbreweries, cozy Italian-style dining and steakhouses, Cleveland has it all. Those that like a tipple are also spoilt for choice; the rejuvenated city of Cleveland is brimming with pubs, bars, cafés and nightclubs serving beverages from around the globe. Thanks to a number of award-winning chef-owned restaurants, Cleveland is now firmly on the map as a respectable gourmet center. 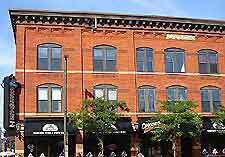 Popular eateries, restaurants and dining venues of all types are spread throughout Cleveland city, with certain districts containing niche restaurants, cafés and bars. For pizzas, pasta and Italian specialties, head to Cleveland's Little Italy, where you'll find mouthwatering menus to tickle your taste buds. Cleveland's trendy Tremont area is home to restaurants catering for those seeking funky eateries conducive to people-watching. This area of Cleveland also has its share of swanky bars serving cocktails and wine. Take your pick from a staggering array of restaurants that reflect the city's ethnic diversity in Cleveland's Lorain Avenue and Ohio City. It is possible to grab a bite to eat around the clock in Cleveland. The city's ethnic diversity means you can sample an astounding array of delights from around the globe by day or at night. The late night and 24-hour eateries in Cleveland are largely dominated by Greek cuisine and restaurants, but it is also possible to dine on everything from waffles, omelets and pancakes to sandwiches, hot dogs and salad at any time in Cleveland. Many restaurants and dining venues in Cleveland serve all-day breakfasts. Cleveland has its fair share of wine bars, several of which can be found in Tremont, where you can enjoy the duel pleasure of a glass of wine while admiring views of the city - ideal for sinking a few sundowners. For a glass of vino with your pasta, nowhere beats Cleveland's Little Italy district. or if you fancy somewhere a bit more happening, head to the Historic Warehouse district, where numerous trendy bars, restaurants and nightclubs have sprung up thanks to the city's regeneration. Also in the Warehouse district of Cleveland is a brewery with a brewpub, where you can try the award-winning beer that's made on the premises. Clevelanders eat big and this applies to breakfast. In Cleveland, breakfast is taken seriously with many cafés, bistros, diners and restaurants serving up a storm. There are cafés in Cleveland serving four egg omelets and precarious piles of pancakes, diners dishing up freshly baked breakfast pastries and delis cooking breakfasts 24 hours a day, seven days a week, while for breakfast in an artsy environment, head to Tremont. Cleveland is awash with great lunch joints, busy dining options and fast food restaurants. Enjoy a spot of people-watching over a fresh deli sandwich in the Tremont district, head downtown for a traditional grill, or take your pick from any number of great ethnic eateries in Cleveland's Lorain Avenue district. Cleveland boasts some truly first-class restaurants and impressive dining venues, serving up an array of food to equal what's on offer in the world's accepted gastronomic capitals. If you are dining to impress in Cleveland, head to one of the chef-owned restaurants in Ohio City. For those seeking dinner with an international flavor, there is an overwhelming array of international restaurants in Cleveland, including Mexican, Greek, Middle Eastern and Oriental in the city's multicultural Lorain Avenue District. For pizzas, pasta and Italian delicacies, you can't beat Little Italy.